Global companies are increasingly subject to obligatory international regulations. For example, manufacturers wishing to deliver pharmaceutical or food products to the USA must fulfill the requirements of the FDA1. Another well known code of practice is GAMP2, which, although is not legally binding, is an acknowledged standard for validation. 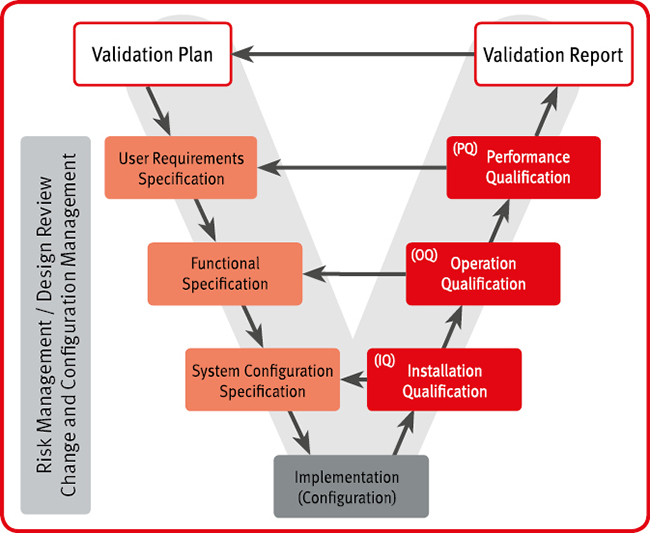 Validation includes the provision of documented evidence that a system was planned/produced according to quality guidelines, is tested against specifications and has been operated in a qualified manner since it was introduced. Missing information and poorly specified or inadequately tested systems represent a risk and can lead to high maintenance costs significant production losses and high costs. Validation by a computer-aided system (CSV3) is therefore critical for legal and business reasons. The latter are also valid for fields not subject to special legal regulations. Our products, including software, conform to specific FDA requirements, are manufactured according to GAMP and provide a path to validation.